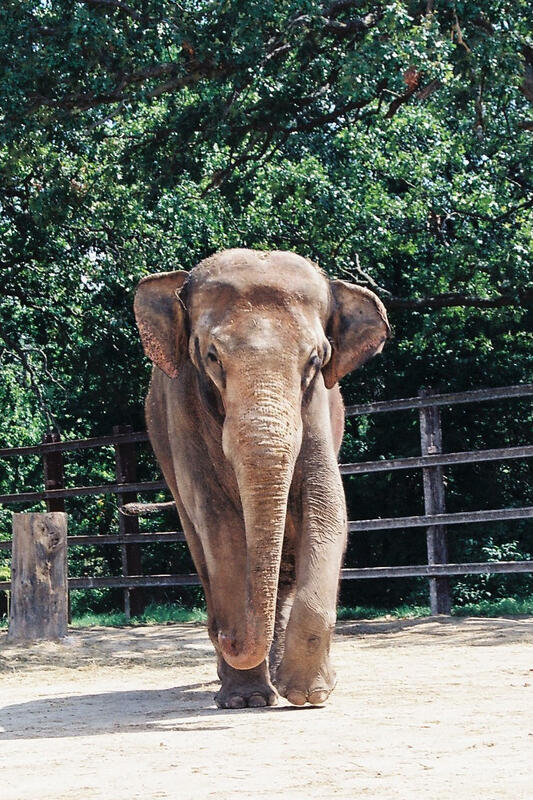 An elephant at Dickerson Park Zoo has died. Khun Chorn, known locally as Mr. Ed, was found lying in the barn over the weekend and unable to stand. According to the zoo, while elephants will lie down to rest or sleep they typically aren’t down for long periods of time due to their size. The pressure of their weight can cause damage to internal organs, and that’s what zookeepers were worried about with Khun Chorn. Zookeepers tried to raise him using a hoist and providing hay bales and tractor tires to provide leverage for the elephant to push himself up. Springfield fire fighters even used inflatable air bladders most often used to lift overturned semi-trucks. After numerous attempts were unsuccessful, the animal care staff made the decision to humanely euthanize Khun Chorn. Preliminary necropsy results show moderate to severe arthritis, for which he was being treated. Pathology results from the necropsy are expected soon. Khun Chorn was born at the zoo in Portland, Oregon in May 1978, and he arrived at Dickerson Park Zoo in February 1980. According to DPZ, “he is remembered by his keepers for his easy-going, cooperative disposition except during his periods of ‘musth,’ an elevation of testosterone during which aggressive behaviors increase. He had a talent for throwing objects, and zookeepers taught him as a juvenile to throw a softball. He traveled to the city’s sports complex at Meador Park to throw a ceremonial first pitch. Although he had breeding opportunities with cows at Dickerson Park Zoo, he never sired any offspring. Dickerson Park Zoo elephant herd now consists of three: Moola, estimated to be 37 years old; Patience, estimated to be 41 years old; and Indy, estimated to be 43 years old. According to zoo officials, the median life expectancy for male Asian elephants is unknown because of the small population size of bulls. The median life expectancy is 47 years for female Asian elephants.